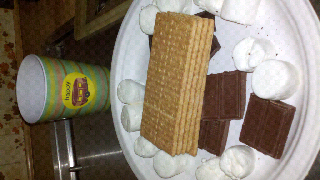 trailerluv: Yes, we still luv to make s'mores...this time we added Reeses peanut butter cups. Oh my! Yes, we still luv to make s'mores...this time we added Reeses peanut butter cups. Oh my!